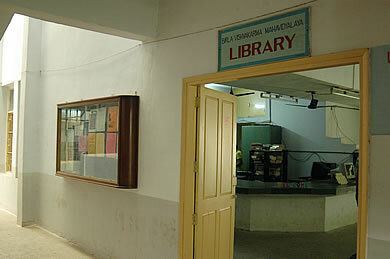 Birla Vishvakarma Mahavidyalaya Post Box No. 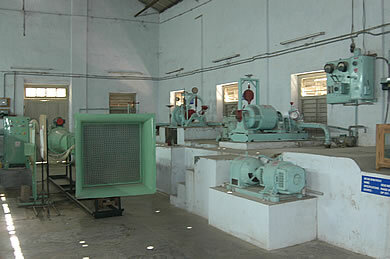 20, Vallabh Vidyanagar, District: Anand. PIN 388120 Gujarat, India. Birla Vishvakarma Mahavidyalaya provides all the basic infrastructure for the smooth running of the college and to provide the basic necessities to the students. Built with the whole hearted support of the BVM Alumni Association, the BVM auditorium is a fantastic piece of work. 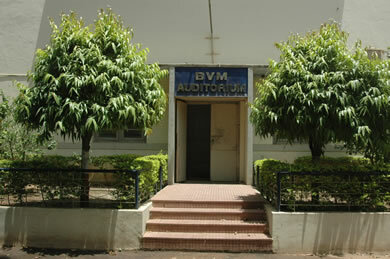 An excellent sound system and executive environment are the important features of BVM auditorium. 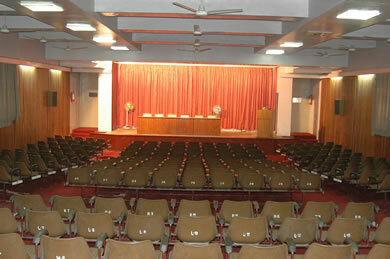 It has a capacity of 300 people. 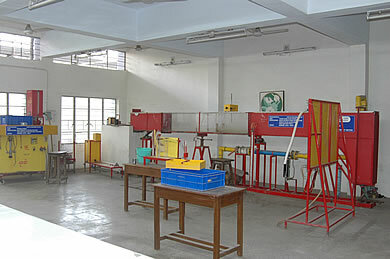 BVM provides a very well developed workshop for the mechanical and production students. 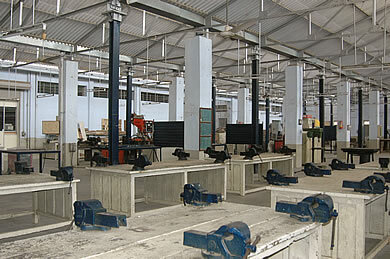 All the modern and latest machines and equipment are available in the workshop. BVM has an exquisite computer center. 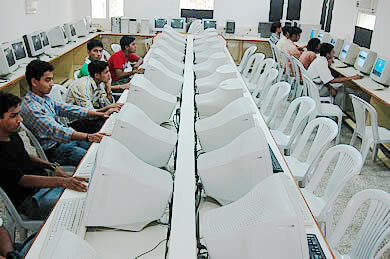 With around 50 computer interconnected in a LAN system on Windows NT/Novel NetWare environment, a UNIX network and 10 standalone PCs with windows NT operating system, BVM provides all the facilities of the modern age. 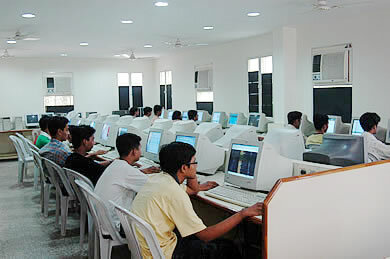 It provides the e-mail and internet facilities to the students at nominal rates. 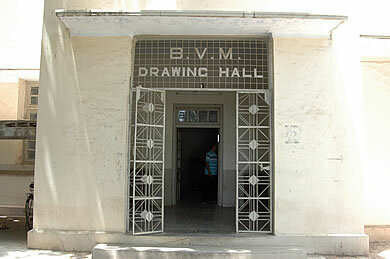 For the lodging facility of the students BVM has four boys' hostels with 72 three seater rooms each and one ladies hostel with more than 102 two seater rooms. The boys hostels are named Girnar, Vindhya (after two mountain ranges of India with mythological importance) and The New Hostel (A & B block). The ladies hostel is called The Square Hostel. 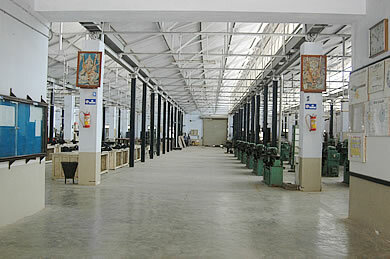 The proximity of the hostels with the college is a great virtue in its own. The students of BVM can avail the facility of the University Health Center free of charge. 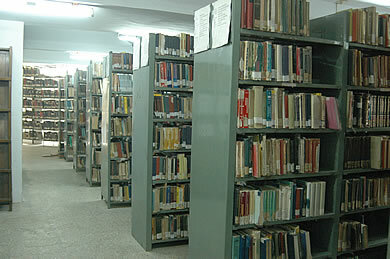 All the basic medical requirements are fulfilled in the University Health Center. 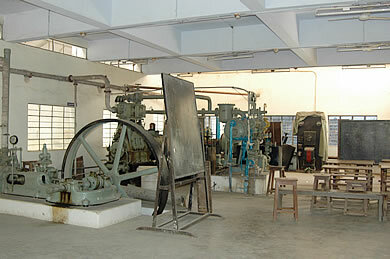 Birla Visvakarma Mahavidyalya (An Engineering College) is the first engineering college of the state of Gujarat. 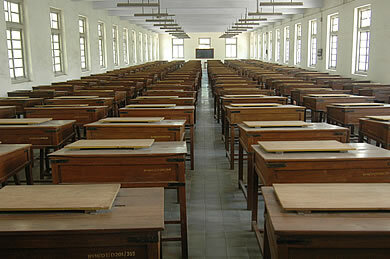 It has shaped students of quality who have courage, will and power to make the vision 2020 a success. A few of them have done exemplary work in engineering industries and engineering education all along the length and breath of the country and also around the globe. 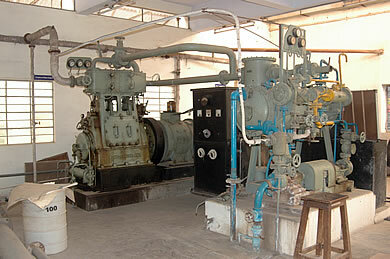 Mr. Anil Naik, CEO L&T Ltd, a 1963 batch BVM alumnus is trying to bring revolution in manufacturing industries in India. Mr Niranjan Shah, CEO Globetrotters, USA a BVM alumnus has provided a vital project management support to develop infrastructure like bridges, dams, express highways in USA. Dr. Bharatan Patel a founder of Fluent Software has given the engineering world a power to analyze most complex problems of computational fluid dynamics. Mr. B M Vyas, the MD of Gujarat Co-operative Milk Marketing Federation, Anand has helped the rural co-operative movement flourish by marketing AMUL products to a tune of 1 billion dollar in the entire globe. Mr. Prayasvin Patel, CMD Elecon group of companies, Vallabh Vidyanagar has made mother India proud by putting his firm second largest in world in the field of materials handling. Prof. S K Khanna a former UGC Chairman and former AICTE Chairman has given new direction in the field of engineering education. Dr. R N Vakil – Director CEPT, Ahemedabad, Anil Bakeri, Bakeri Constructions, Ahemedabad and young and dynamic entrepreneurs like Mr Kishor Virani, Chairman KARP Intex Ltd, Surat are a few distinguished alumni this institute has nurtured.